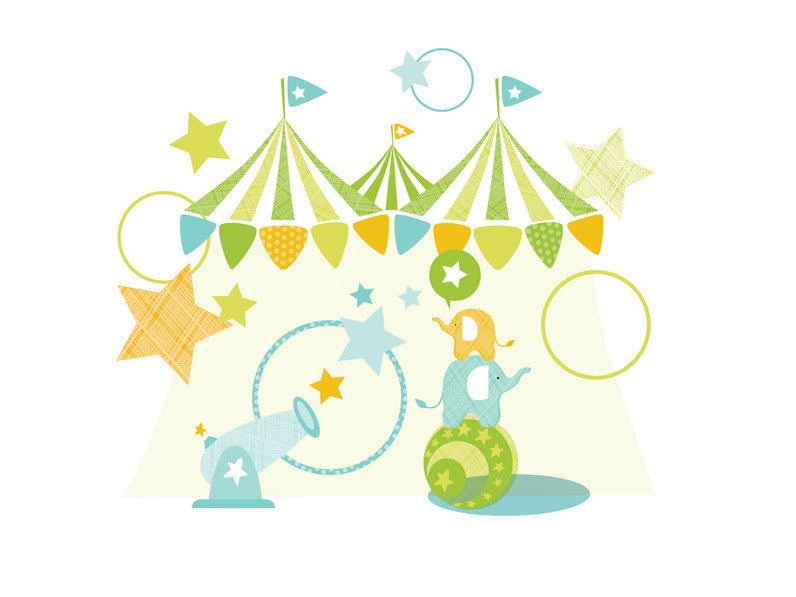 Big top started with a little elephant I drew one day. After that, I knew he needed a little "big top" world to live in. Please contact me if you would like to see these designs on your products.